Here simple demonstration setup is provided to experiment with LVDT for measurement of linear displacement. To vary the actual displacement an annual micrometer driven mechanism will be provided. Whereas for reference comparison same micrometer will be used. 1. LVDT sensor with necessary signal conditioning circuit. 3. Manual micrometer driven mechanism for displacement variation. 5. Range – 0 to 20 mm. 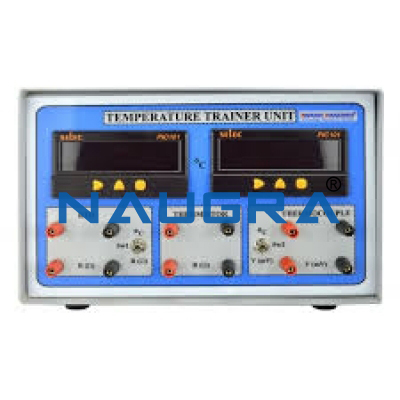 Other Related Teaching Lab Products, Scientific Instruments and Educational Equipments like DISPLACEMENT MEASUREMENT (LVDT). . .